These CD-ROMs give you the opportunity to read stories - turning the pages on screen like a real book, watch film clips of the author and illustrator, click on hotspots in the story to activate phonic and word recognition activities, ask characters questions, explore settings, edit the story text on screen, and change the characters, plot, vocabulary and story endings. MagicPage, Stage 6-9 Storybooks, I Can books and Teaching Guides are also available enabling you to move seamlessly from work on screen to work on the page. 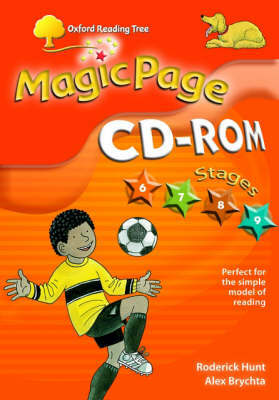 This MagicPage CD-ROM is also available with an Unlimited User Licence.